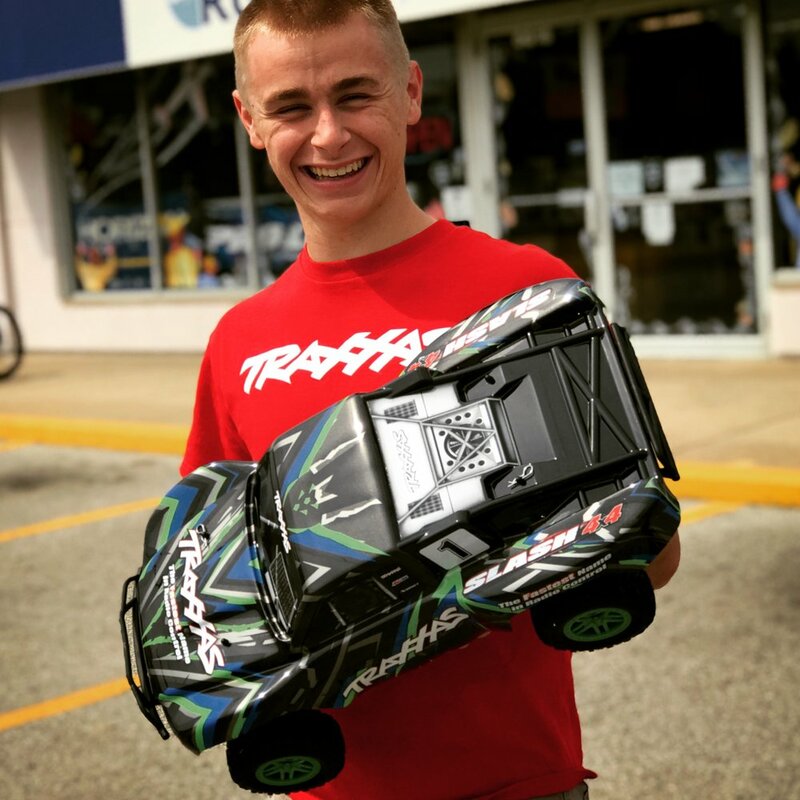 Traxxas released their latest new truck out for first delivery, and we've got one! The brushed Slash 4x4 has many of the same great features of the original brushless version but with a lower price point, making it a truck more within reach for many! The truck swaps out the brushless Velineon system for the venerable XL-5 speed control and the Titan 12T motor seen on the 2WD version of the Slash. It also uses plastic camber links, light-duty steel toe links, and opts for the 2056 servo found in the brushed versions of the Rustler and Stampede. What isn't sacrificed is the modular chassis design and great handling. While slower than its brushless counterpart, the new Slash 4x4 still handles incredibly well, and since it comes with a battery and charger, it's a complete, ready-to-run package. The new Slash 4x4 runs $299.99, and will be available for sale in early September.